Thank you for this article! Question: Do you know how the 2015 BMW S1000R electronic system compares with the Multi? Have been considering a purchase, but have been waffling and thinking of waiting until the next generation of S1000R’s comes out….. Your thoughts? The 2015 S1000RR has the most advanced and seamless system I have experienced so far. It is better than the first gen S1000RR by a large margin. The 2015 Multi has comparable electronics, but has the added benefit of cornering ABS, due to the inclusion of an IMU. I tested it at the Bosch proving grounds in early 2015 and it is brilliant. The traction control is on par with the BMW, as it the ABS. But the S1000R is a very different machine than the Multi. The V-Twin Ducati is much nice with the new Variable Valve Timing Control, but is still not refined like the in-line 4 of the S1000R. I loved both bikes, so it becomes a matter of preference for the engine type and the seat height. Waiting with surely allow you to get the best, most advanced electronic technology. But, you could wait and wait and still not get technology that will last much more than a few years before it is improved again. 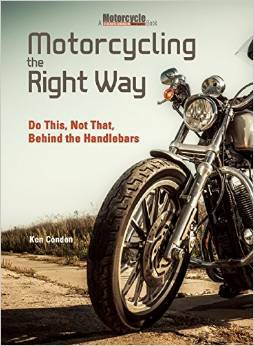 It’s the nature of technological development that motorcycles are going through right now. I think the development will change almost yearly, because electronics are easier to upgrade than mechanical bits. Hi Ken, Thank you for the reply. It sounds like the S1000RR electronics are cutting edge, but does the S1000R have the same system? It’s the “R” I am curious about. Thanks again! 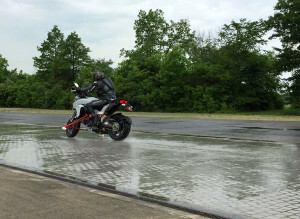 A very well written review of the Electronic Stability Control System launched by Ducati. The ESC is definitely going to increase the rider safety by leaps and bounds but ultimately safety lies in the hands of the rider himself and on his common sense. Riding a motorbike without proper training and gear will spell doom no matter how advanced the technology is. 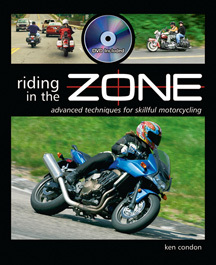 It is important to ride safe and ride smart. Nice common sense testing in real conditions, sold me…. now when is the retrofit kit coming out? What? There isn’t one! Well it looks like I need to upgrade to a new bike.